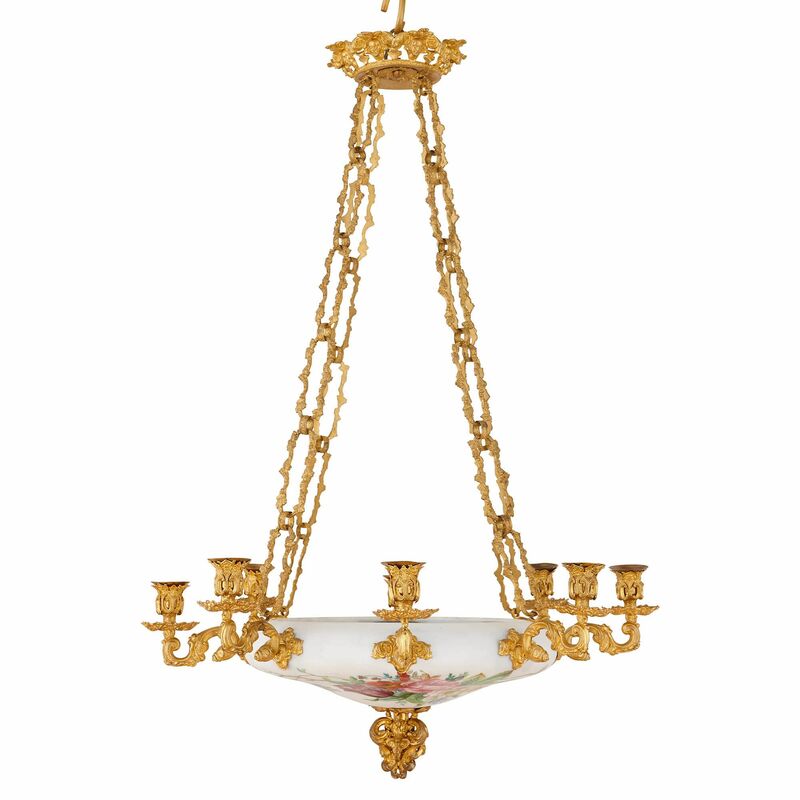 The full, magical effect of the breathtaking floral decorations on this piece is best experienced when this beautiful chandelier is viewed from below. 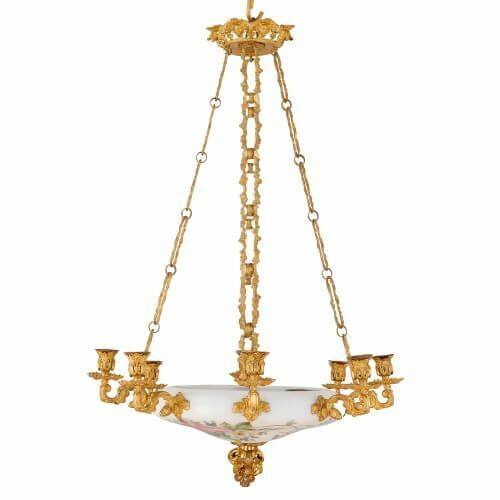 Simple, timeless design combines with intricate detailing and exceptional craftsmanship to make a truly sumptuous antique chandelier. 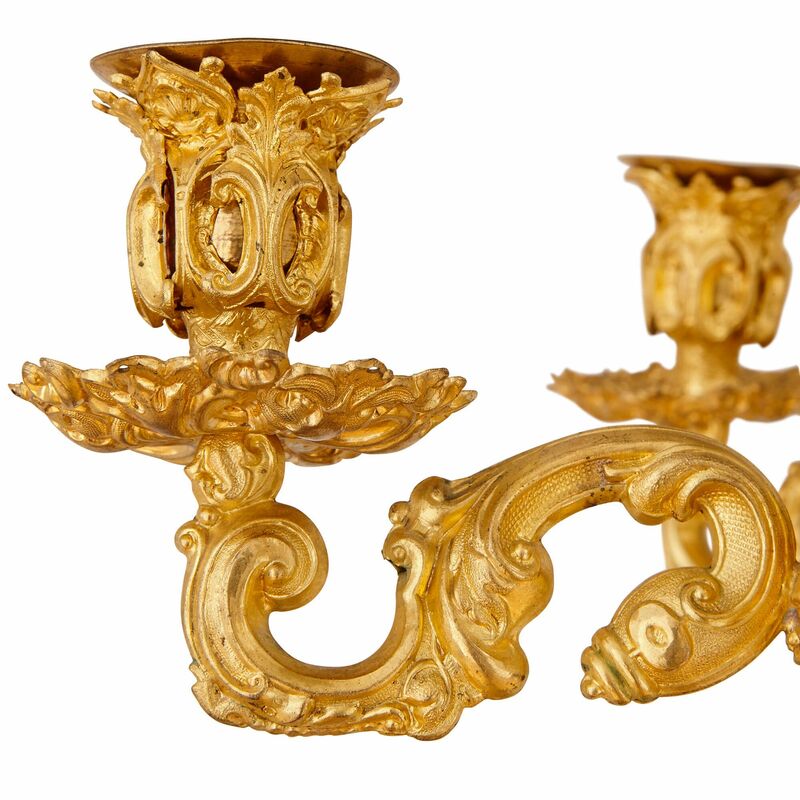 Consisting of eight ormolu lights issuing from a central opaline glass bowl, there are joyous details to be found on every element of this piece. 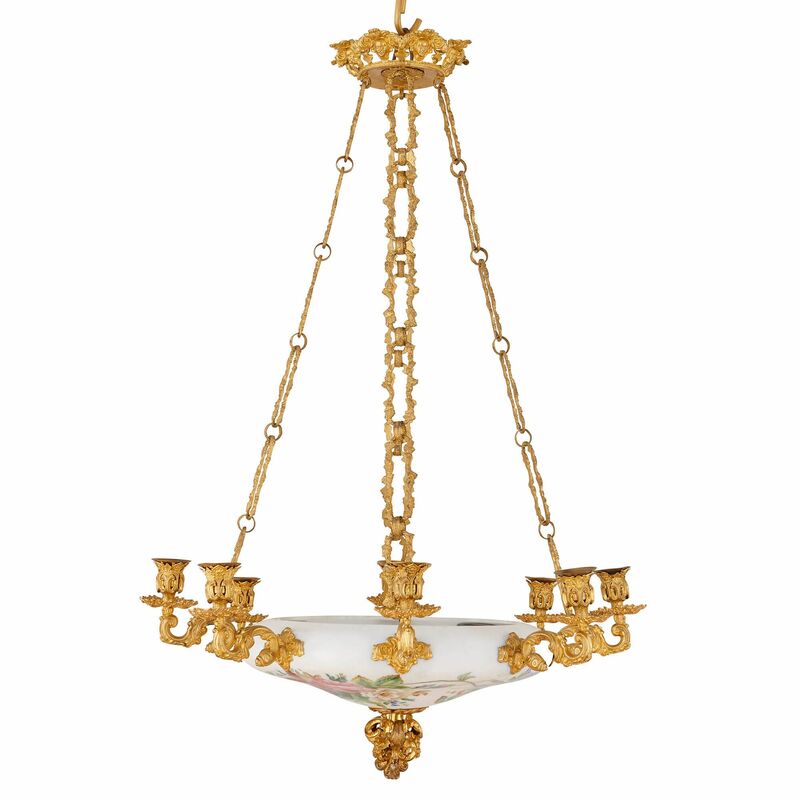 Opaline glass has long been prized by craftsmen for its soft, natural colouring and brilliant translucency, making it ideal for a chandelier: when lit, the flowers which decorate the base will appear luminescent to anyone viewing it from below. 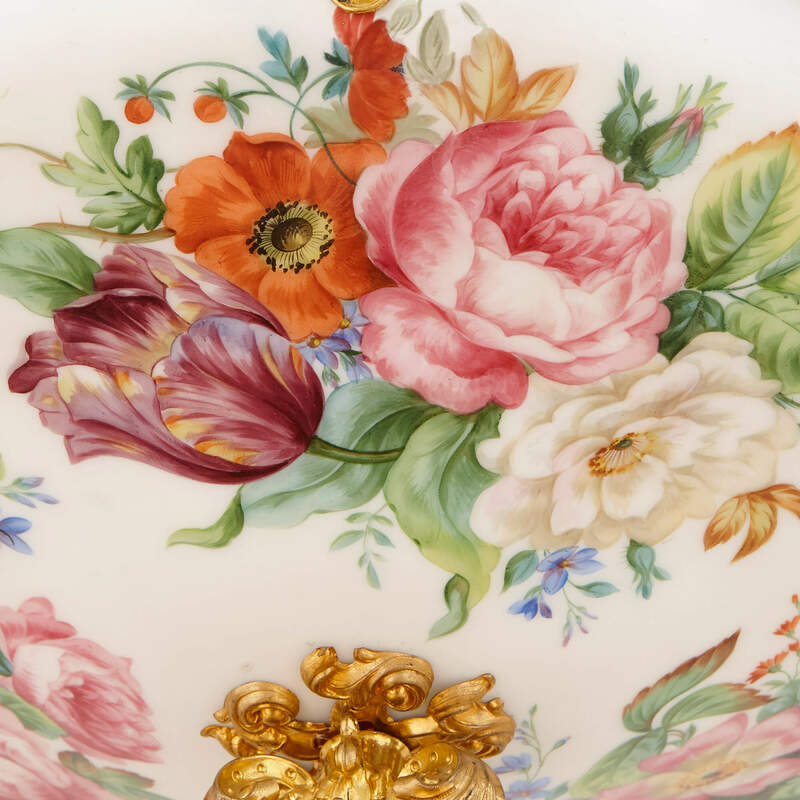 The floral decorations on the base are extremely finely detailed, as are the ormolu branches which are also decorated with floral motifs throughout. 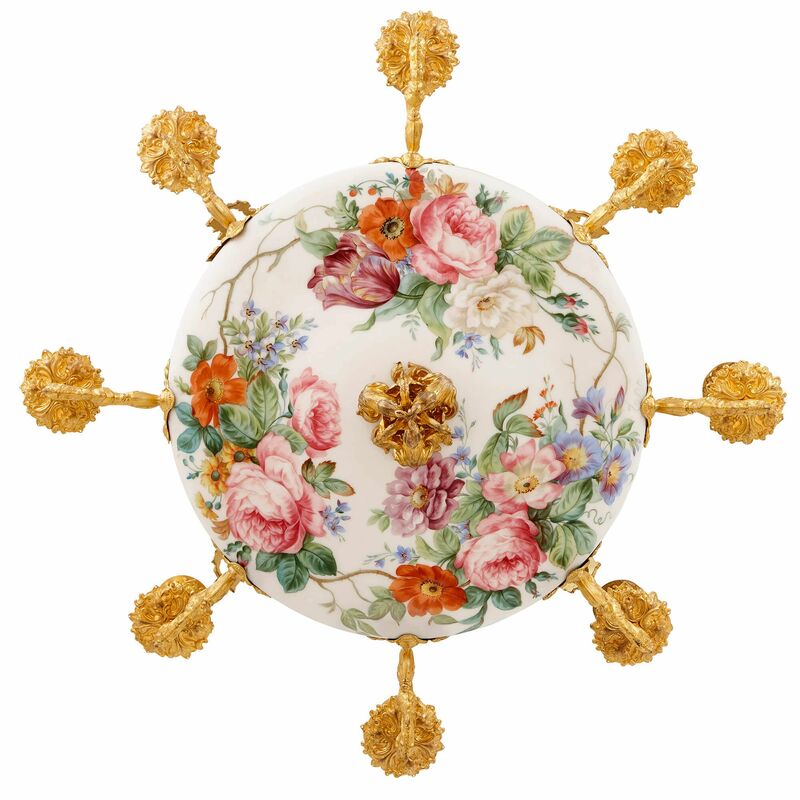 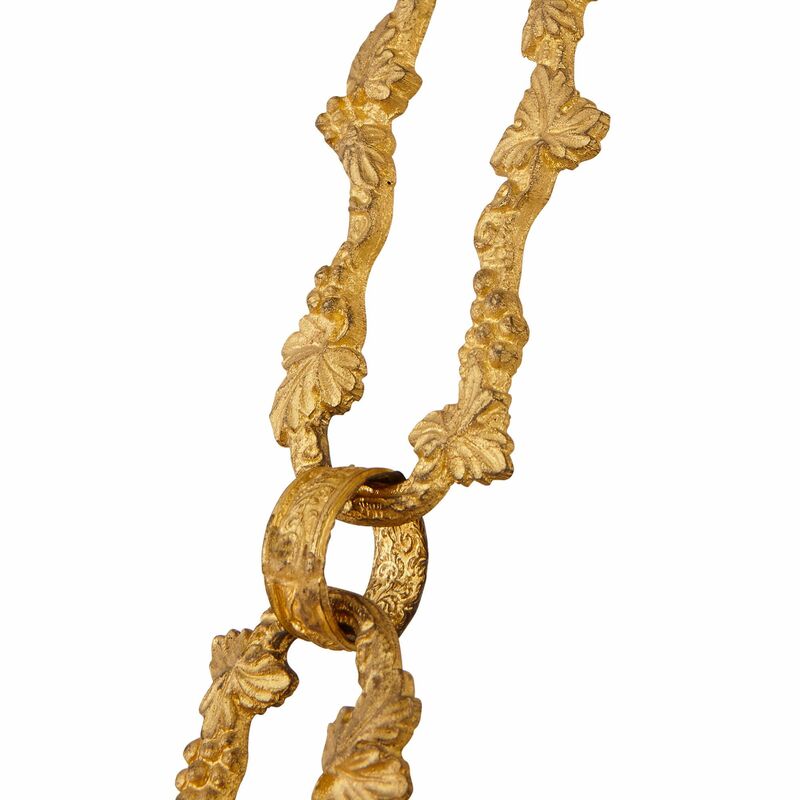 The branches and the bowl are held by four ormolu chain supports which join to an ormolu plate decorated with masks.